We are really excited to announce our newest MaTWINSIE BABY lookalike doll to the shop. 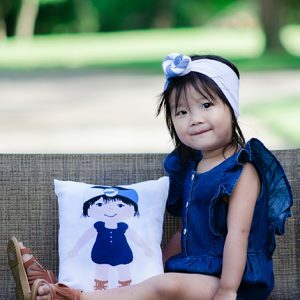 Same lookalike, completely personalized cartoon illustration of your little one, slight design changes and a personalized back side… Great to capture your baby in their coming home outfit or mama’s favorite newborn outfit and detailing the birth statistics on the back to cherish for years to come! Our new MaTWINSIE BABY lookalike dolls are the perfect soft addition to any nursery. They capture the sweet moment of baby’s first weeks into the world and make a great keepsake gift to cherish for years to come. 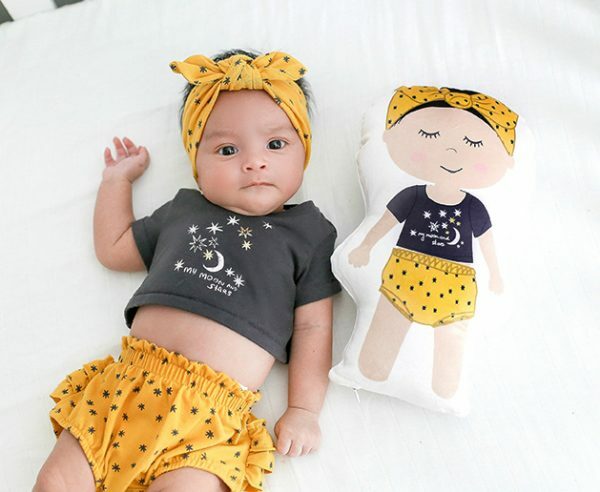 Choose your favorite newborn outfit and let us create a special memory for your little one to snuggle and play with while keeping the sweet memory of their “littleness”. 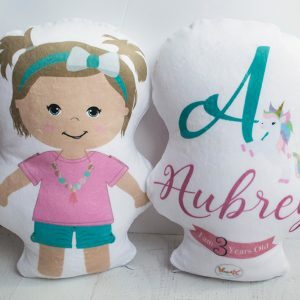 BACK OF YOUR PILLOW: It will come personalized with your child’s full name, birth statistics and a fun little graphic of your choice.